Once in New Mexico I decided to go for an adventure to Albuquerque, and I asked if anyone had recommendations for what to do there. “You want to go to Albuquerque? 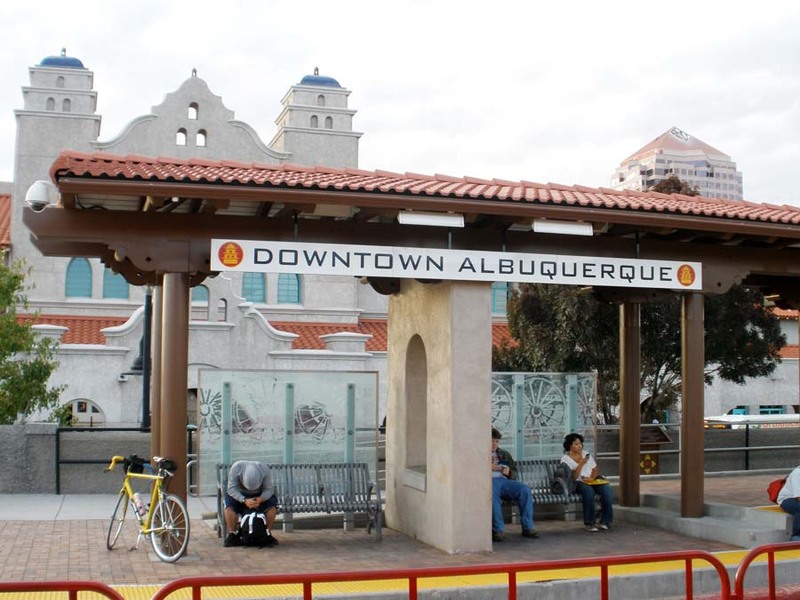 Albuquerque is an armpit! Just move on through,” replied one car-dependent resident. Undiscouraged, I put my bike on the train in Santa Fe and rolled off into downtown ABQ. I threaded my way through the hidden neighbourhoods of Nob Hill, and over a magnificent pedestrian bridge across the Rio Grande. I paused at a Mexican bakery and a funky old theatre, and a hidden downtown alley where street folk sang soul tunes in the sun. An ancient black man in a straw hat offered me a hotdog and invited me to sit for a while, and I did. Had I driven through Albuquerque I probably would have found yet another crumbling American metropolis; just another armpit between the Interstates. I find pockets of paradise in every place I explore by bike. When I’m riding my bike through drifts of cherry blossom on the bikeways of Vancouver I sometimes try to imagine the view from behind the windshields of the cars in the parallel universe just one block away, speeding along Kingsway in the morning commute. Or not speeding, rather fuming, as once again a collision brings the blur of strip malls into focus as traffic grinds to a halt. The view of endless bumpers, infinite gray concrete, all filtered through a bubble of metal and dirty glass. No wonder drivers often hate the city. They see only the ugliest parts of it, under stress and at speed. I have heard tell of the pleasures of the Great (North) American Road Trip, but for me the ferry or the train, the bike, or my own two feet is the way to travel. Go slow, enjoy the journey. It’s all about the ride. Well put and so right. The stress and speed of car drivers creates more blinding stress for them, and then they can’t see except bicycles are in their way. So much to be seen, smelled, heard and talked to, if you get out of the car, but they think they’ll die, or sweat. Thanks for sharing your keen observations. We stopped in Albuquerque just for the cycling. The Paseo del Bosque 16 miles paved (uninterrupted by roads) bicycle path along the Rio Grande River was enough to endear that city to me.